Dublin, Monday October 23rd 2017: An Taoiseach, Leo Varadkar TD, Minister for Health, Simon Harris TD and the Mayor of Fingal Mary McCamley joined teams from the Childrens Hospital Group and the National Paediatric Hospital Development Board at Connolly Hospital today to mark a significant milestone for paediatric healthcare in Ireland. 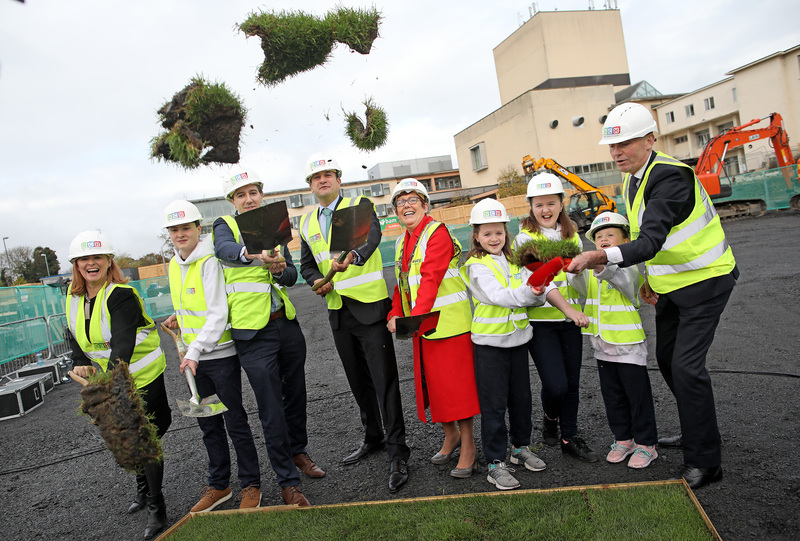 The official sod turning for the paediatric outpatients and urgent care centre at Connolly Hospital took place. The official sod turning marked the commencement of construction of the 5,000M2 paediatric outpatient and urgent care centre at Connolly. This new facility will be operational in the summer of 2019 and will be followed in 2020 by a twin facility at Tallaght Hospital. Enabling works have started in Tallaght and an official ground breaking will take place there within weeks. Taoiseach Leo Varadkar TD said: The new Children’s Hospital project represents the most significant healthcare investment ever undertaken by the State, one that will have an impact on children, young people and their families in Ireland for decades to come. 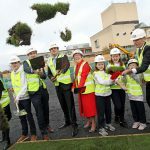 The two new centres at Connolly and Tallaght Hospitals will be an integral part of the new children’s hospital project and will be of significant benefit to the people living in the local area, bringing paediatric services to the thriving communities in Blanchardstown, as well as providing outpatients and urgent care for children in the Greater Dublin Area. I feel a special connection to Connolly Hospital because I worked here as a doctor in 2004 and 2005 and it was a very happy and rewarding time. I saw first-hand that it is the commitment and dedication of the staff which makes Connolly Hospital so special. The Minister for Health Simon Harris TD said; This is an extremely important day for the future of children’s health services in Ireland and I’m delighted to participate in the sod turning at the paediatric outpatients and urgent care centre at Connolly Hospital. This facility will be an incredible asset to the people in North and West Dublin, and in Kildare and Meath, making paediatric healthcare in the community convenient and local to many families and GPs. Commenting today, John Pollock, Project Director, National Paediatric Hospital Development Board said: This is another milestone day in this important project with work commencing on the paediatric outpatients and urgent care centre here at Connolly Hospital. Site clearance and decant works has also just begun on the Tallaght centre and work is well underway on the new children’s hospital on a campus shared with St. James’s Hospital. All of this follows four years of work on the design of these facilities, securing planning and finalisation of a comprehensive tendering process. We are delighted to move to this phase of the project which will see the world-class vision and design that has to date existed in images, start to come to life through bricks and mortar.